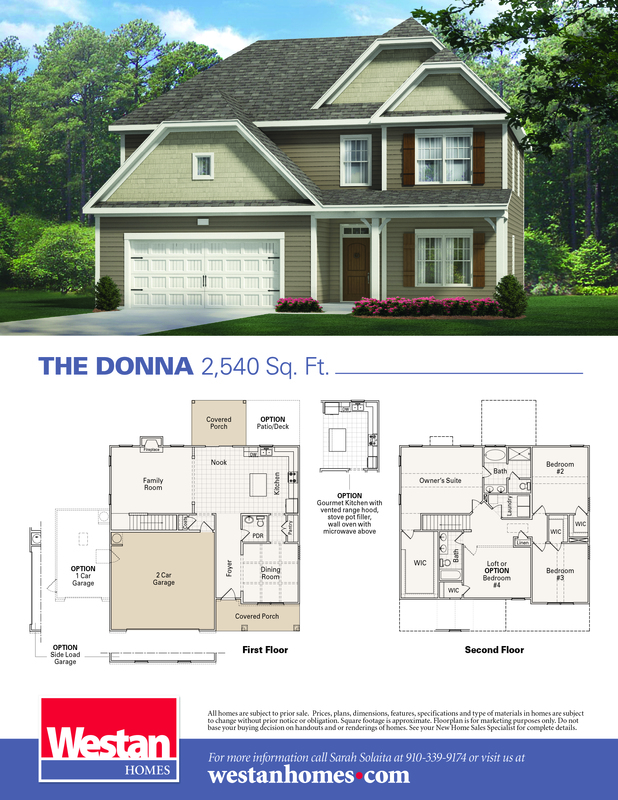 With 2,540 square feet the Donna offers 4 bedroom, 2.5 bath and so much more! Enter into the foyer featuring your dining room with coffered ceiling to the side. Large kitchen with island, granite tops and stainless steel appliances is open to the breakfast nook and family room. This home is the perfect open plan! The stairs are conveniently hidden behind the family room. The second floor features large Owner's Suite with granite counter tops and extra large walk in closet, 3 additional nicely sized rooms with full bath and laundry room. Enjoy your covered porch and extra pad perfect for BBQ's! This home like all Westan Homes features our Bright Ideas such as USB charging station, Sensonic Bluetooth vent fan speaker in Owner's Bath, and pull out trash cans!